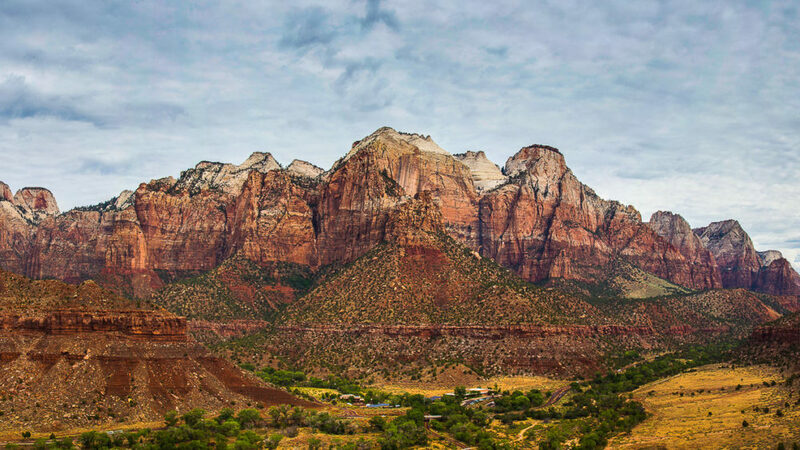 Tim Jackson Photography / Blog / Capturing the landscape in a panoramic. Wide angle lenses have been favoured by photographers wanting to capture the landscape for some time. Wider angles allow more of the scene to the captured. There are times when even a wide angle lens can not capture the extent of the landscape that is desired by the photographer. Not to mention that the wider the angle of the lens, the more distortion you get in the image. The answer might be to capture the scene as a panoramic. Panoramic photography is becoming more popular, with many smartphones now offering the facility. The common approach to capturing a panoramic image is to capture several images across the scene and then using software to stitch them together as seamlessly as possible. This is not something I have found a great need for in the past but having used my phone to capture more panoramic shots recently I started to appreciate the format more. A recent road trip to the West Coast of America confirmed for me that panoramic formats are the way forward for certain landscapes. I discovered that when faced with a vista such as Kings Canyon or the Grand Canyon there is a need to go wide to capture the vastness of the landscape but without the need to include more sky and foreground in the composition; some of the results are shown below.